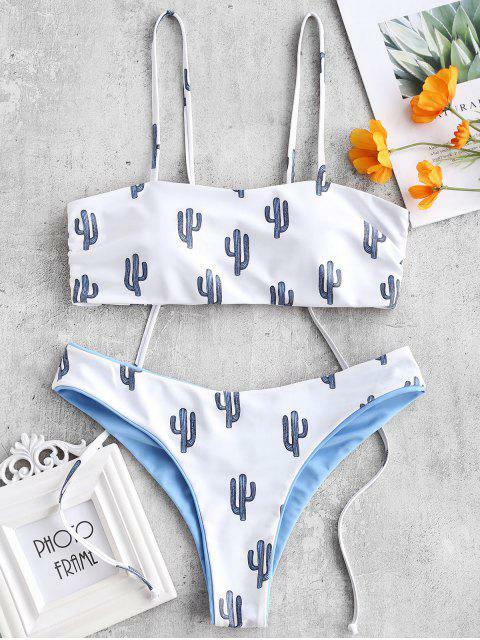 [61% OFF] 2019 Cactus Tie Shoulder Reversible Bikini Set In BLUE KOI | ZAFUL .. Weight: 64kg Height: 170cm, 5' 7'' Chest: 33.5 inches, 34B or 32C Waist: 27.5 inches Hips: 41 inches I ordered size small after reading reviews. Nice fit. Very cozy bikini. Strings to tie are quite long. Love the back of the green side of the pants. Same effect isn't on the reversible side. I recommend. I might be wearing it wrong, but it has SUPER long straps to tie together at the top. I like the pattern!